1. Always be moving Cutting, walking, shuffling, backpedaling all count. Make your defender always have to find you!! 2.GET OUT OF THE WAY! If someone is dodging toward you, drift or cut away. 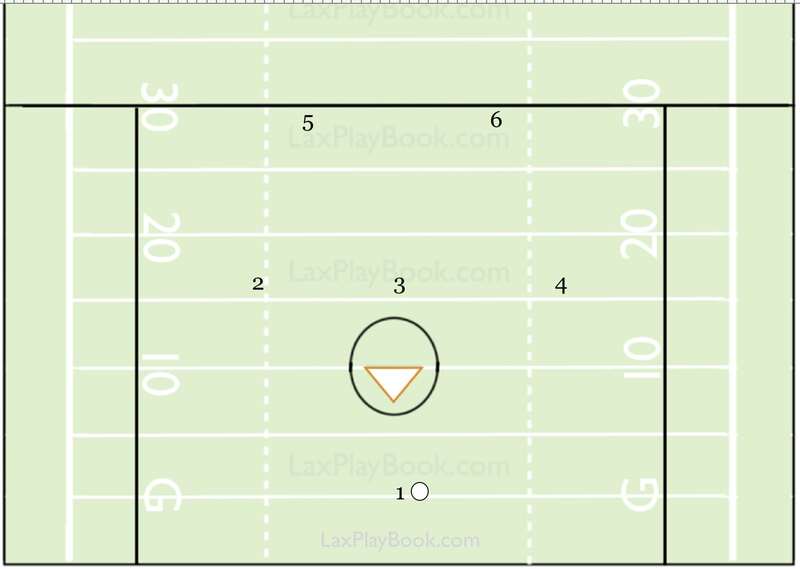 3.Space benefits the offense Lots of spaces equals lots of room to burn defenders. It provides more room for dodging, more room to get open for passing, more for cuts to the ball and it makes the defensive slides much longer. 4. Always be a threat Whether you are cutting through the crease to clear space, or jogging behind the crease to back up a shot, be ready to receive a pass and dodge or shoot. If your defender slides, position yourself in a scoring position. 5. Head up Always look for threats, cutters and defense out of position. Catch your defender not paying attention and cut through the center. 6. VCUT, VCUT and then VCUT some more!! Vcut to get open for a pass and Vcut to create space before starting a cut. and Vcut to help a teamate in trouble. 7. Communicate "I got your help", "One on", "Ball Down" "Man", "Release" are all calls that should be happening continuously. Focus on keeping eye contact with player that has the ball and being ready to shoot immediately when you get the ball.